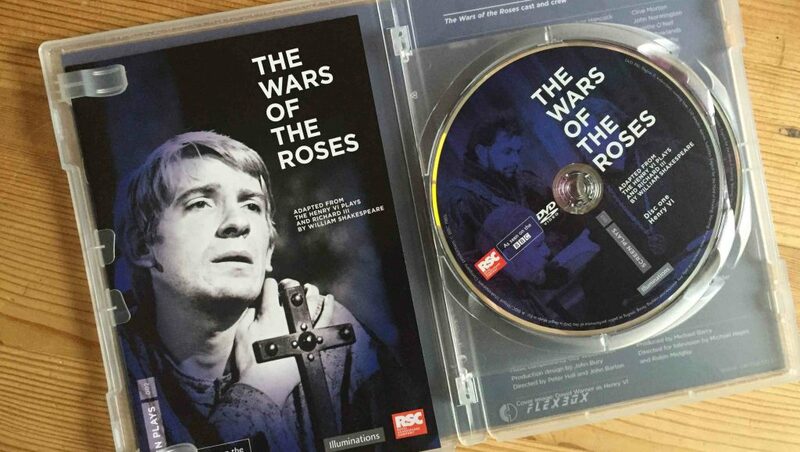 By comparison, Peter Hall’s RSC production of the same plays as The Wars of the Roses, broadcast by the BBC in 1965, is not always easy to watch: Illuminations’ DVD edition suffers from low-contrast black-and-white film and fuzzy sound. But John Barton’s deftly cut version is more faithful to the original; and filmed on set at Stratford (John Wyver’s excellent essay gives technical details), it is more faithful to the plays’ origins in the theatre – and a lot more of Shakespeare’s language makes far more sense in a theatrical context than transplanted into a notionally more realistic setting. The real thrill of these discs, though, comes from watching a set of extraordinary performances from a critical moment in British acting, when the classical theatre exemplified by Olivier and Gielgud was giving way to kitchen-sink naturalism. Many of these actors would become familiar faces on TV later, but were here at the start of their careers – though this is a more traditional approach to Shakespeare than Cooke and Power’s [director and adapter on The Hollow Crown], the considerably younger cast gives it rather more freshness and energy. David Warner, barely out of drama school, is a brilliant Henry VI, callow to begin with but maturing over the course of the plays into ruthlessness, without gaining much in wisdom or strength; Janet Suzman doubles as a tough Joan of Arc and Richard III’s wife Anne; and Ian Holm is as neurotically captivating as you’d expect as Richard III. To that you can add Peggy Ashcroft, lethal and heartrending as the elderly Queen Margaret; and a youngish Donald Sinden as a commanding Richard Plantagenet, before sitcom stardom reduced his public persona to a set of tics. Illuminations deserve some kind of medal.